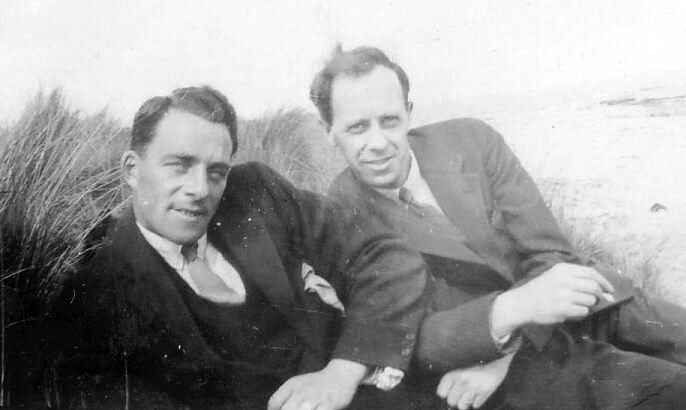 Monochrome photograph of two gentlemen wearing suits in the dunes at a local beach. They are local scout leaders (see 2001_099_001_070). From a set of photographs glued to 10 sheets of brown paper with some spaces where photos have been torn out.